You have positive and useful feedback on your products and you want to put forward? 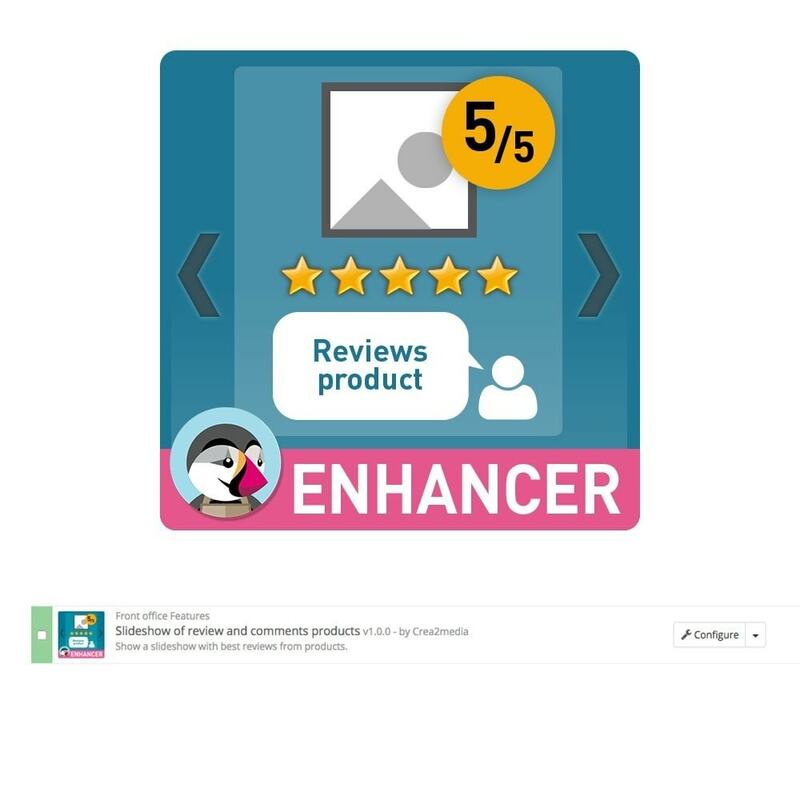 With this module, you can display a slideshow of opinion and reviews of your products on your shop. With this module, you can highlight the most popular products directly on all pages of the site. 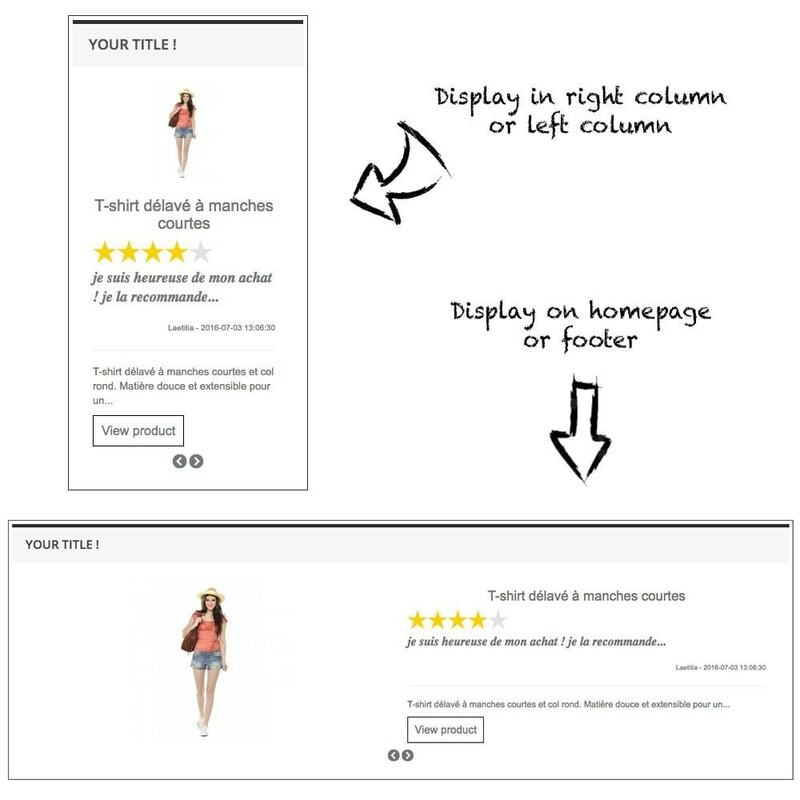 This slide show captures the visitor's attention and enhance your shopping cart conversion rate. Your customer will be reassured by the comments left by other customers. Your customers are reassured to see the opinions of other customers. To view the slideshow, you need to install, Reviews Module "Product comments" or "Verified Reviews"
This module does not create customer reviews. 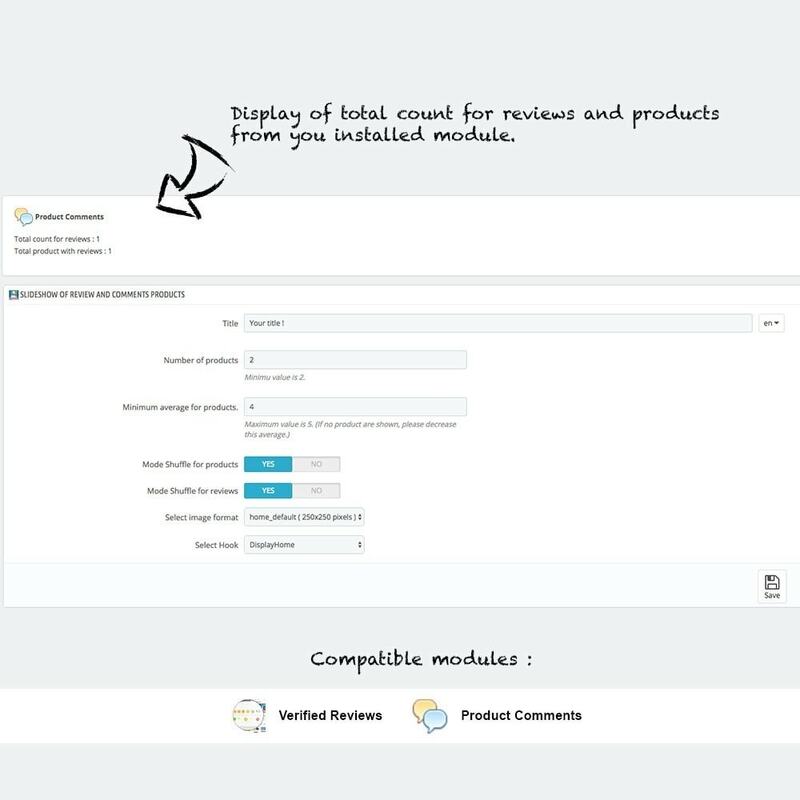 It only remains you to customize the title, the number of products and the minimum score.